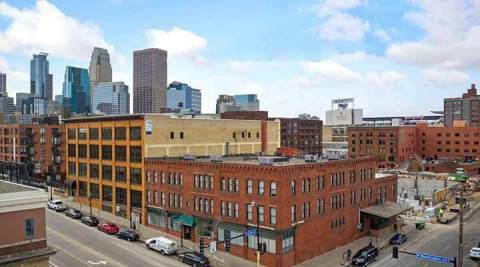 MINNEAPOLIS, Minn.--(BUSINESS WIRE)-- Public Storage (NYSE:PSA) acquired six storage locations this week in Downtown Minneapolis and in nearby popular cities. The rebranded storage locations add to Public Storage’s strong presence in Minnesota. These Minneapolis-area Public Storage locations span across the metro area, from Downtown Minneapolis to the popular nearby suburbs of Lakeville, Edina, New Hope and Bloomington, as well as in the City of Hutchinson. The U.S. News and World Report named Minneapolis-Saint Paul one of the Top 10 Best Places to Live in the country. And we can see why! The abundant affordable housing, compared to other major housing markets, and low unemployment rate make the city a place for dreamers and doers. Public Storage has a strong brand recognition in Minnesota. In just the last decade or so, the Company opened approximately 50 locations around the state. The six locations acquired by Public Storage this week are all newer properties or remodeled ones with state-of-the-art features, some of which include climate-controlled units and drive-up storage spaces.